Precious and valuable things are considered to be so because we dream them into being. We will them into existence and ordain them as holy because they are rare and exclusive - imbued with the power we give them. We overlook the common, the routine, and call it ordinary. We discard everyday things, forever searching for that special moment, special person, special thing - our precious. If value is a decision made or an opinion held, can we not choose to see it whenever and wherever we please? Do we only understand the value of something when we risk losing it, or are never able to possess it? Perhaps it is only in absence that we truly understand the value of having. PRECIOUS is an exhibition that asks us to compare what we desire versus what we discard – to consider the ease with which we abdicate responsibility from items determined to be of ‘lesser-value’. By creating precious artwork and art jewellery from everyday, discarded and overlooked items, Micah Adams, Christine Dwane and Lawrence Woodford remind us that our world is shaped by the decisions we make. Whether disposable or sustainable, beauty is everywhere we choose to look. This month's featuring artist is Micah Adams. Click here to read his interview. Our state of being is one in eternal flux, transforming like the seasons from one state into another. 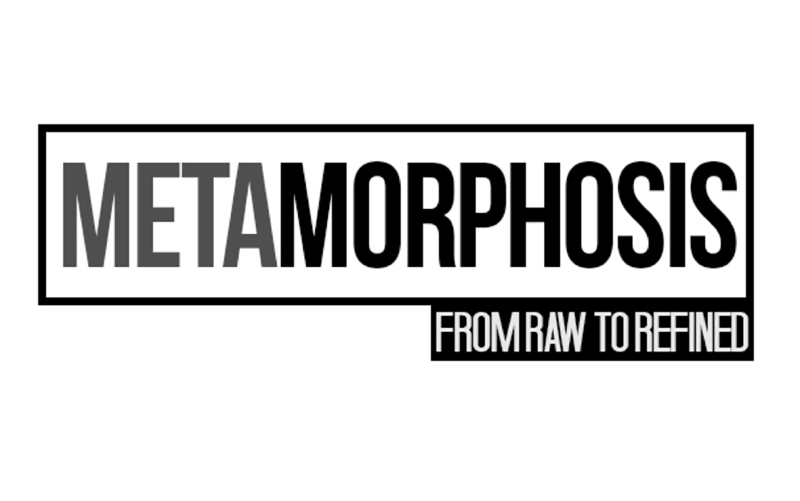 A transition that always seeks balance, an ending for every new beginning - our perpetual state of transition is what drives our evolution, it is what inspires every new creation. What forever remains constant, is that change is inevitable. 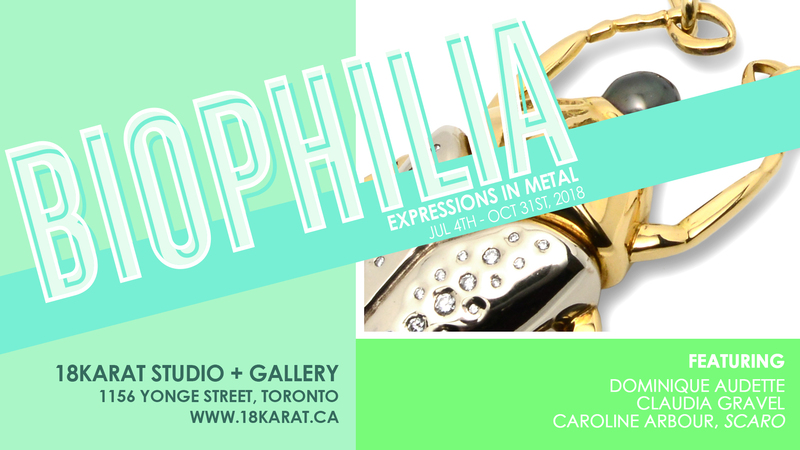 BIOPHILIA : Expressions in Metal is an exhibition that explores the ways in which humans seek connections to the living world - drawn to its organic forms and structures as well as the inherent vitality in nature. Featuring three Canadian jewellers and goldsmiths, this exhibition explores how our bodies experience the organic world around us through three very different lenses: form, flora & fauna. 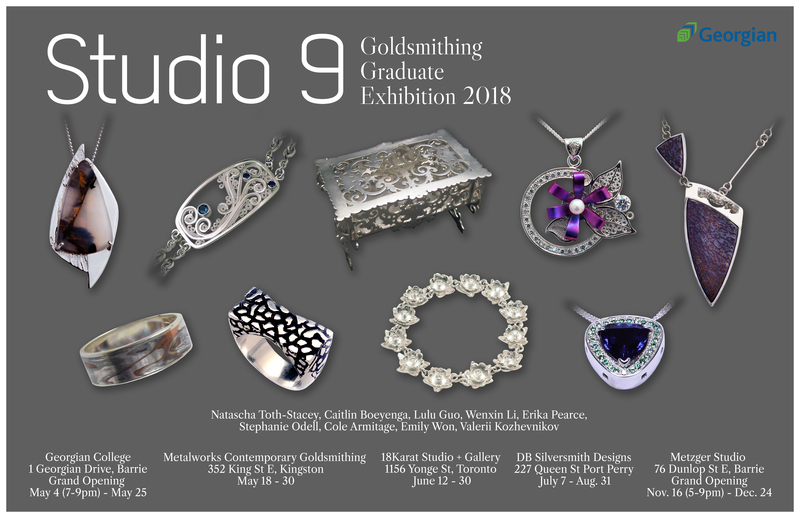 18Karat Studio + Gallery presents Georgian College's "Studio 9" Goldsmithing Gradate Exhibition 2018. During their time studying in Barrie, Ontario, the students are challenged to develop their skills in the fine craft of goldsmithing. They are encouraged to grow and explore, emerging as artisans with a body of work that represents their journey and discoveries. 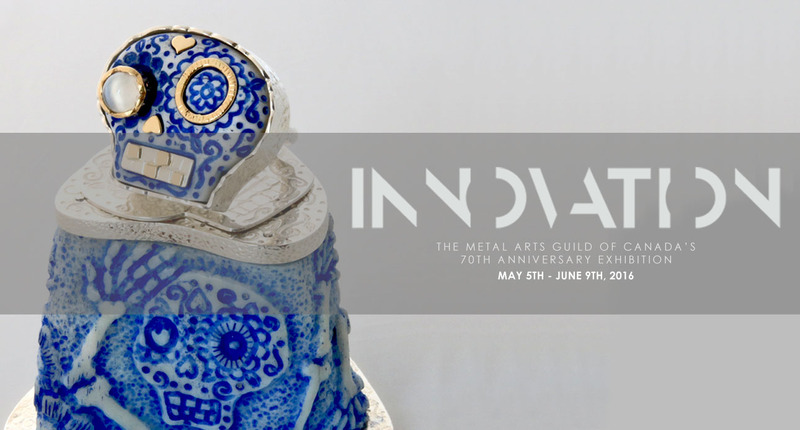 This June, come join us and celebrate the fruitful work of this year's graduating class. 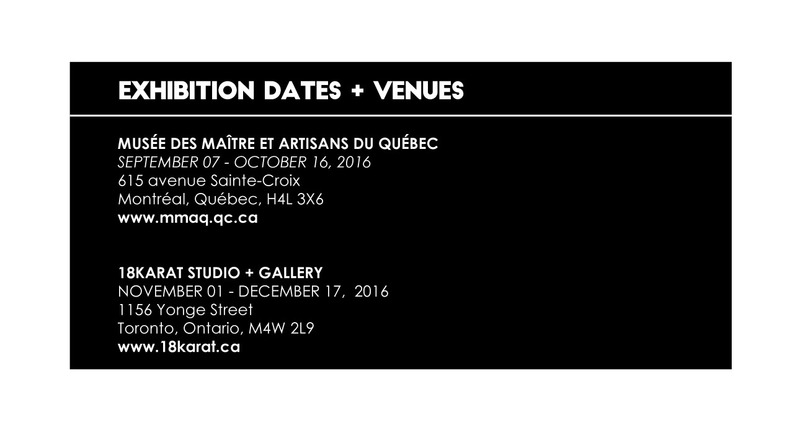 18Karat Studio + Gallery presents it's annual national exhibition, The Great White North Exhibition, on display at the following venues.